I will be showing you how to easily complete orders! This is really simple and will help you to level up super quick! All Collectible Locations - Knights Campaign. 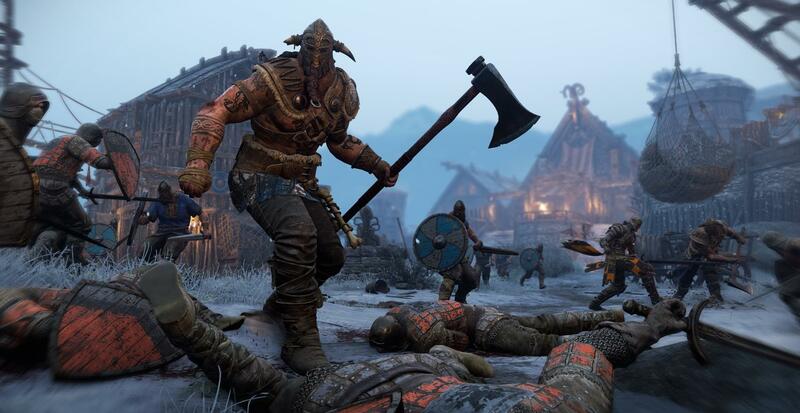 All Collectible Locations - Vikings Campaign. All Collectible Locations - Samurai Campaign. 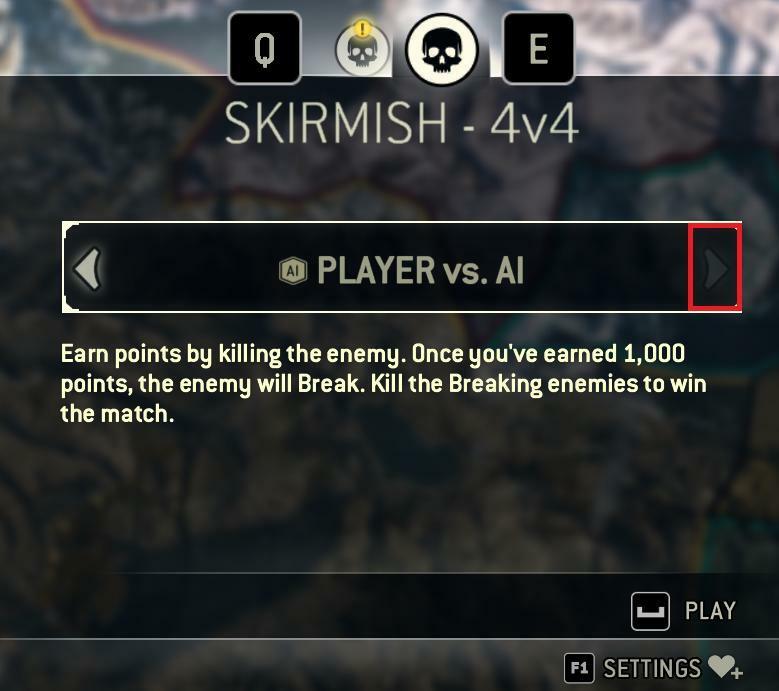 This tip will especially help when you need to beat those pesky, always 'Low Activity' game modes Skirmish, and Elimination! Personally I use this method only for those two modes, but you can use it for every mode if you so desire. 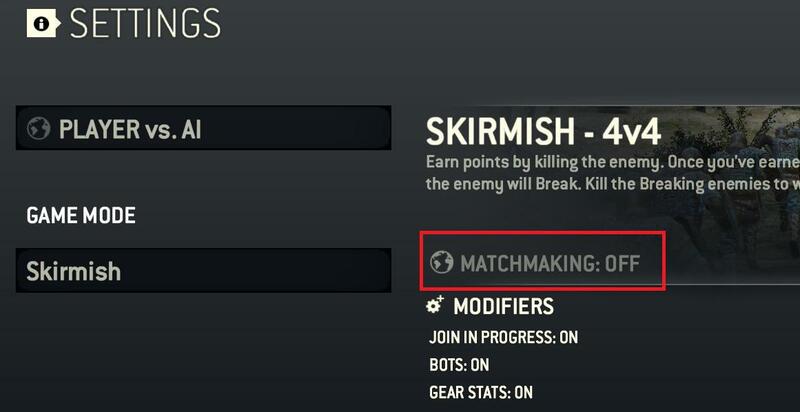 As of making this guide, I have three orders specifically for Skirmish. However, Deathmatch game modes seem to never have anything higher than 'Low Activity'. 'Medium Activity' if you're lucky! So, the trick to completing these orders easily is by going on to your desired game mode, and press the arrow next 'Player vs Player'. It should turn into 'Player vs AI', and look like this. Next, you want to press the 'F1' key on your keyboard, or if you're on controller, press 'X'. You should have a screen that looks like this. 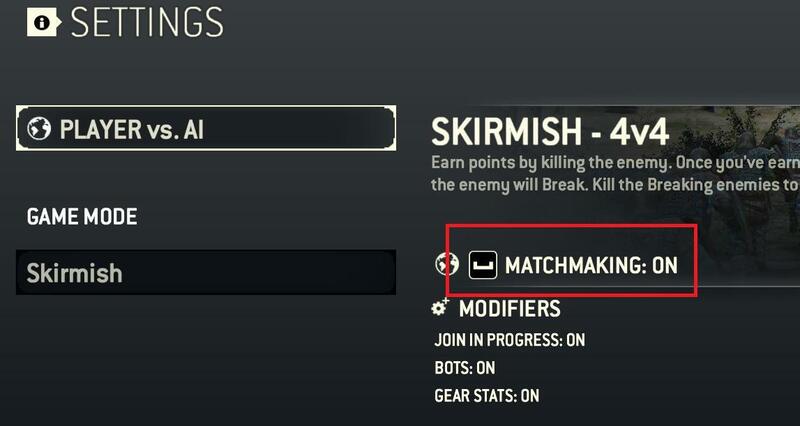 Now, it currently says 'Matchmaking: ON'. This means that it will still search for 3 other players (if you're alone), to verse 4 bots. However, we want to turn matching off so it gets into a game faster, and there is no lag. To do this, move your mouse over the big 'PLAYER VS AI' button and press spacebar. Or, press A if you're on controller. It should look like this. Now you're all set! Back out and you can start your game. You'll be alone with 7 other bots. When you complete the game you will recieve rewards as if you are playing with real people. Your orders also get complete through this method.